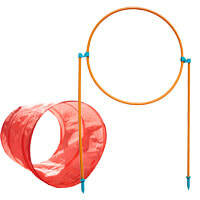 ​AGILITY FUN FOR YOU AND YOUR FURRY FRIEND! Dog agility fun in your own backyard! 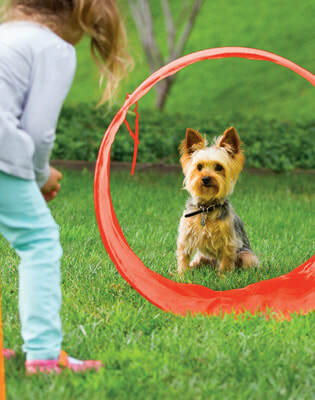 Whether you're new to dog agility or a practiced pup pro, The Zip & Zoom Outdoor Dog Agility Kit has everything you need to set up your own course and start playing! Dogs don’t just want to play—they want to play with us. 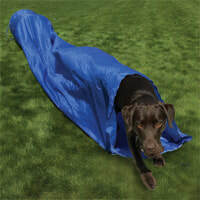 By inspiring interactive fun, this 34 piece dog agility kit nurtures the relationship between you and your pup. 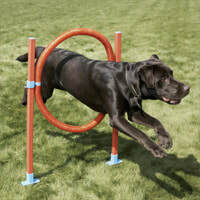 Agility challenges your dog’s I.Q. by presenting a variety of obstacles. To successfully work through the course, dogs must differentiate between their handler’s commands while using their natural problem-solving skills. Because it provides an outlet for natural canine instincts, agility encourages healthy exercise while also boosting doggie I.Q. Plus, it helps you get exercise too. The beauty of the Rosewood Agility Range​ is that each peice can be purchsed individually and to suit your needs.